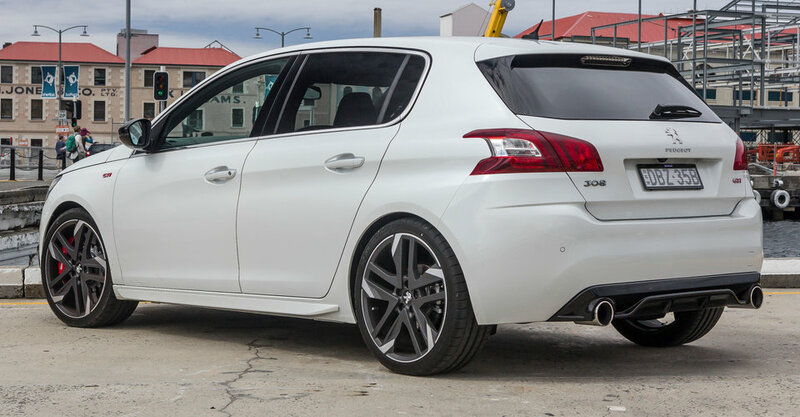 So, while it might win the award for the most frugal car in the segment, that’s probably not going to be very high on a buyer’s list of ‘must haves’ for the new 308 GTi – not even in the top five, I suspect. Instrumentation is a combination of analogue dials and a digital centre screen, which is viewed from above the steering wheel – just. It’s all part of Peugeot’s i-Cockpit concept, which adds a large driver-centric touchscreen and not much else. All the traditional buttons and switches have been removed, even the HVAC (Heating ventilation and Air Conditioning) dials. And that’s a bit of a pain, especially if you’re driving, as it’s just not overly intuitive, as it is with rotary dials. Even at low speeds, you won’t pick this as a 1.6-litre turbo. There’s almost no discernable lag and torque delivery is seemingly relentless. Better still, the engine never feels like it’s straining, even under big loads, such is the level of refinement built into this powertrain. Improvements include specifically engineered pistons forged by Mahle Motorsport in the US, which also supplies components for Formula One racing cars and off-shore power boats. 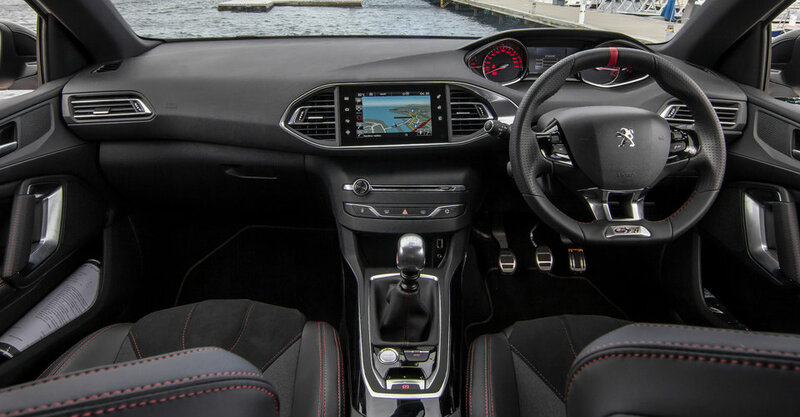 The exhaust note is more subdued than the more manic 208 GTi 30thAnniversary, until you push the Sport button on the centre console and all that is amplified – though it also sounds a bit contrived. Perhaps more importantly, it also sharpens up the throttle mapping – substantially so.